It's been really sunny and extremely lovely outside...then I woke up yesterday to 40 degree temps!!! I guess I missed the weather report. I had to quickly run back in the house and grab a sweater. It's back up in the 70s today and it will probably be back up in the 80s tomorrow, LOL. You gotta love that bipolar Florida weather! 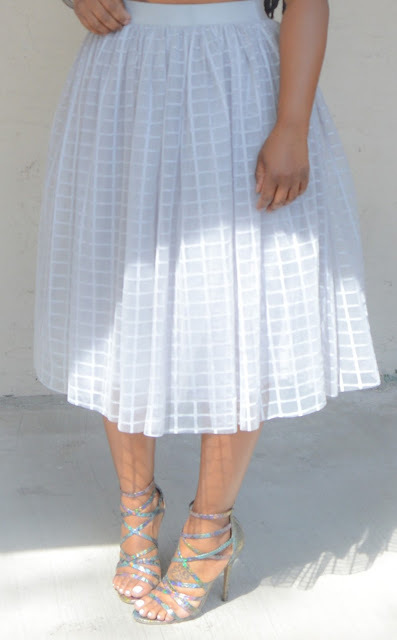 In the meantime, here's a look that I wore after church on Sunday. I just switched tops before we went to brunch. Please don't think I would EVER wear a crop top to church.....unless there is no potential to show any skin whatsoever, lol. 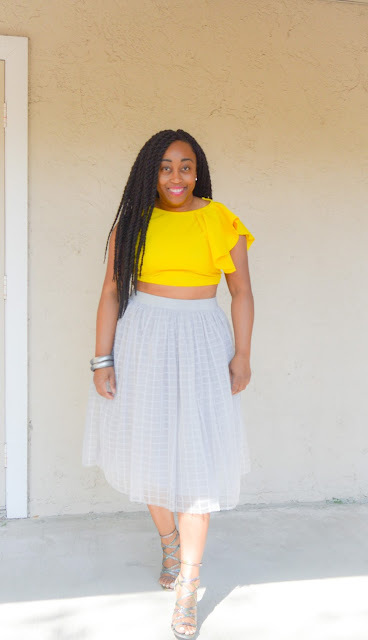 Man this crop top is the perfect yellow hue!!! It's so rich and vibrant! 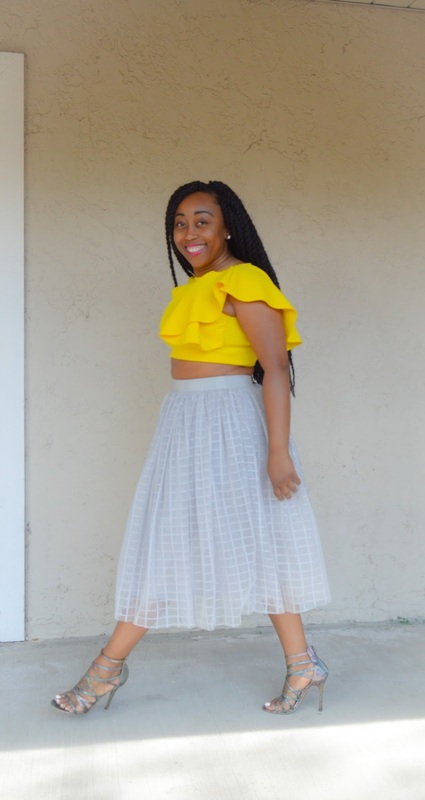 I thought it would look great paired with this gray tulle skirt. 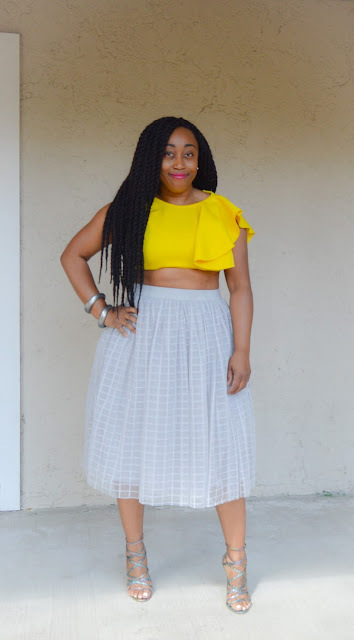 Sidebar.......I know you all see these abs trying to breakout! They think they're ready for their close up but they're seriously delusional, lol. I need about another 2 months of hard work, LOL. You look adorable!! This look is everything!! Oh mama this look is giving my life and so perfect to welcome Spring. You look gorgeous! 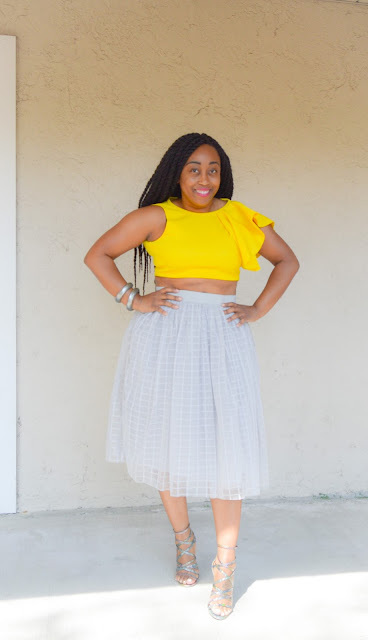 I have the similar cropped top in black, and this is the day that I haven't rock it because I am scare of those "love handles" hehehehehehe. I need to try it with one of mu tulle skirts as well.